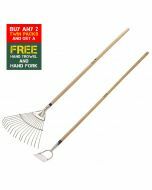 Loosen compacted soil with this fork, spread compost over your beds and lift piles of leafy prunings. 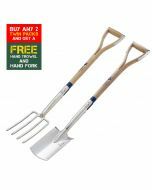 Perfect for vegetable plots, borders and for planting trees and shrubs. 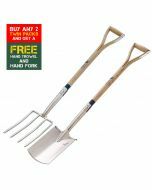 Blades made from Stainless Steel cut through soil with ease. Comes with treads to protect your boots.